notorious for rough and foul play. Before his death, Rex was rejected by his father for his choice to run the Casa Cristo, and publicly defamed for appearing to cheat underhandedly in a race. 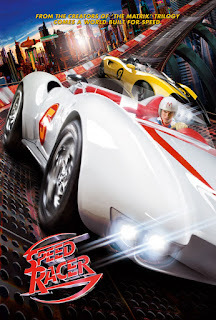 Now, Speed Racer is quickly sweeping the racing world with his artistic skill, driving the "Mach 5" of his fathers design, but remains interested only in the art of the race and the well-being of his family. seemingly-unsurpassable obstacles to win the Casa Cristo, and, finally, the Grand Prix, returning racing to its true purpose and exposing Royaltons corruption.